There’s already been a bit of discussion about the issue on the BSFA forum; as ever, all feedback is welcome. I’d particularly like to be able to continue running a print letters column, so send your comments to the usual address. Although this issue was a bit (cough) delayed, V258 is following close behind, and with any luck should go to the printers next week. And if you’re really lucky, I’ll get around to putting some articles up on the website this weekend. Received, read, enjoyed, and am considering a letter about Graham’s piece. Thanks. I shall be dropping a line to Nick to make sure he’s seen it. Kev: on any subject in particular…? Are the subscription rates awful for individual subscribers? Things are fairly bleak here in Detroit, but I was hoping to get a copy of Vector’s current issue. 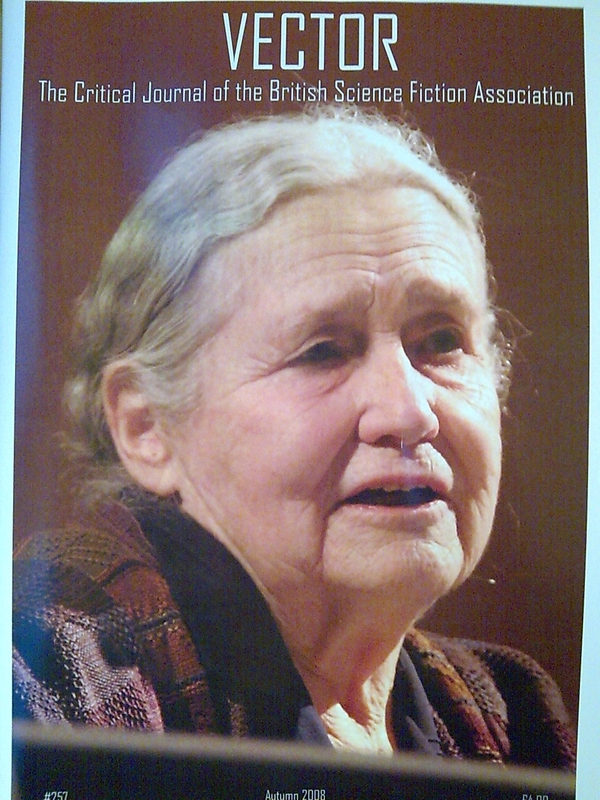 I’m something of a Lessing fan, and I’m always on the lookout for criticism of her SF. Our local university library used to carry ‘Foundation’, but they can’t seem to find me a copy of Vector. Hi Robert — an overseas individual membership is £32, which is about $48 at current exchange rates. Obviously, I’m all in favour of you becoming a full member, but I suspect we can work something out for a single issue if necessary. 8th Dec: my copy hasn’t arrived yet. Anyone else in that situation? Adam, I’ve pointed the membership secretary at your comment, so hopefully this will be solved soon.